By John Steckroth - Editor, Dave Bartkowiak Jr.
DETROIT - ClickOnDetroit has reported a rash of threats against schools in Michigan over the past two weeks. The incidents have ranged from threatening comments on social media to bullets being found in school buildings. Some threats have prompted lockdowns at school buildings and at least one has forced an entire school district to cancel classes for a day. Authorities in Manistee County arrested a teen Feb. 19 after a threat was made to “shoot up” Brethren High School in Dickson Township. Police confiscated an AR-15 from the boy’s home. The next day, a student at Almont Middle School was reported to have brought two loaded airsoft guns to class. School officials said the student had been "addressed by the appropriate authorities." A student at South Lyon High School was charged Feb. 20 with making a false report or threat of terrorism after messages on Snapchat were shared with authorities about re-enacting the school shooting in Florida. Garden City High School was placed on lockdown Feb. 21 after a bullet was found inside the school. Police had said there was no direct threat to students of faculty. A 15-year-old was arrested Feb. 21 in connection with a threat against Melvindale High School. The threat was allegedly sent on Snapchat stating that he was going to "shoot up the school" and included a photograph of a someone holding a gun. The student was charged with false report or threat of terrorism. Plymouth-Canton Education Park was placed under a soft lockdown Feb. 23 after a rumor circulated about a possible weapon at school. No gun was found. Later that same day, Berkley High School was placed on lockdown after a bullet was found in the auditorium hallway. Officials said they didn't believe any students were in danger, but place the school on lockdown out of an abundance of caution. Milan Area Schools were evacuated Monday after the district received a bomb threat and classes were canceled for the rest of the day. Lake Shore High School in St. Clair Shores was on lockdown after a bullet was found inside the school Monday morning. The district released a statement later Monday morning explaining a single bullet was found in a locker room in "what we believe was an effort to disrupt school operations." A student investigated for a school threat in January was arrested last week for allegedly making a threat to bomb L'Anse Creuse High School-North, according to police. An official at the high school told Macomb County deputies on Wednesday that a female student reported a social media threat to the school. 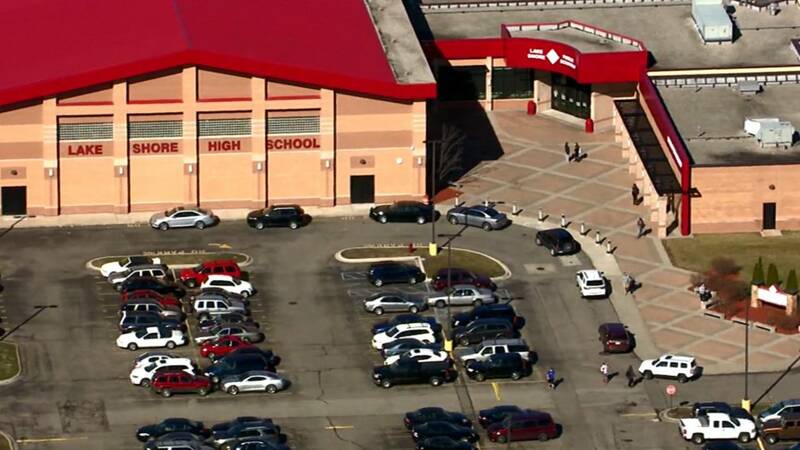 An official at the high school told Macomb County deputies on Wednesday that a female student reported a social media threat to the school. Wayne-Westland Community Schools were closed Tuesday due to several threats posted on social media. School administrators pleaded for parents to check their children's social media accounts.